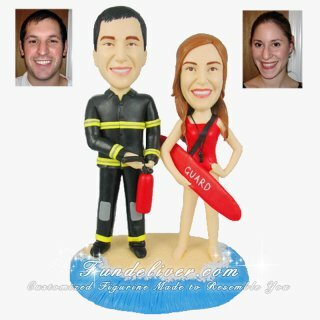 This is a completely customized wedding cake topper. Bride and groom are standing on a beach theme base with spoondrift at their feet. Groom in a firefighter uniform holding an extinguisher and bride in a red swimwear and a whistle on her neck.